Kollectin empowers you to be anything you want by inspiring others with your style. 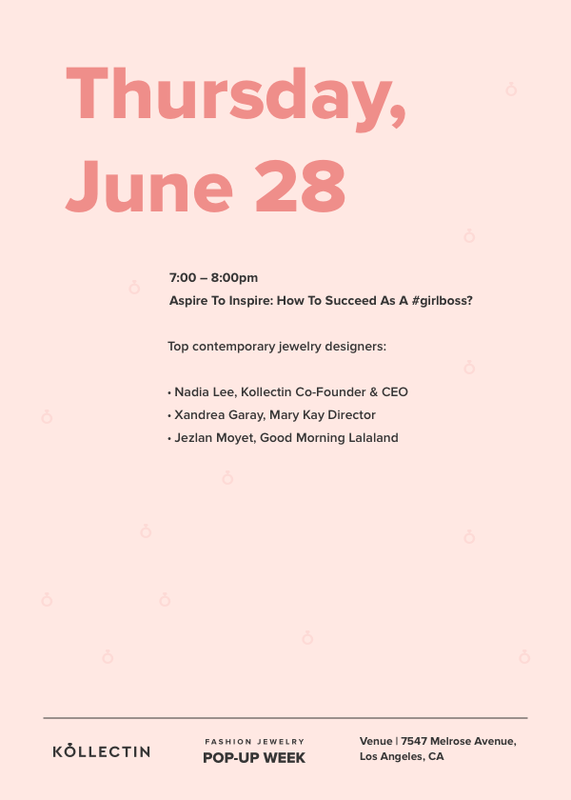 Meet Nadia Lee (Co-Founder & CEO, Kollectin), Xandrea Garay (CEO, Ultimate Event Planning), and Jezlan Moyet (Good Morning Lalaland) to discuss the finites of being a girl boss in the digital age. Meet local Style Stars (Influencers) and check out their curated Kollectin jewelry collections.